On 7 July, it was 88 years since the death of Arthur Conan Doyle. He died in his garden at home in Crowborough, East Sussex, in 1930 at the age of 71. His seven decades were filled with adventures, incidents of historical and literary interest and quirks. To celebrate the life of Conan Doyle, we share some of the quirkier aspects of his incredible time on earth. Some you may know, others you may not, but all of them reveal an aspect of the fascinating personality and life of the creator of Sherlock Holmes. 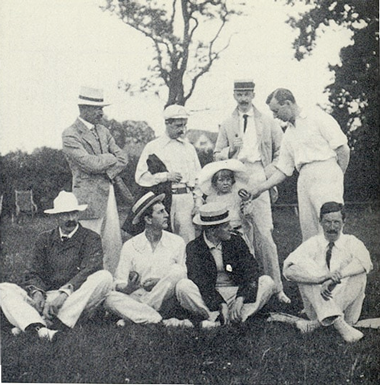 Conan Doyle was a keen cricketer and played on the same cricket team as Peter Pan writer JM Barrie and AA Milne, author of Winnie the Pooh. He ran for Parliament twice, but never elected in spite of receiving a reasonable share of the votes. He ran first, representing the Unionist Party, in Edinburgh in 1900, and once in the Borders in 1906. He wasn’t born with Conan as part of his surname. It was one of his two middle names. His full name is Arthur Ignatius Conan Doyle. He was knighted in 1903 but not for his creation of Sherlock Holmes. The knighthood came for his work connected to the Boer War. Aged 40, Doyle had returned to medicine to help in the Boer War. He had wanted to fight but was deemed too fat. Instead, in 1900, he spent several months in South Africa as a volunteer field army surgeon. It led to him taking on more of a campaigning role in his life. He became a prominent advocate of military reforms, keen to see an end to obsolete practices exposed by the Boer War. When he was studying medicine, Doyle experimented with the poison gelsemium and, in doing so, nearly killed himself. He would later use his knowledge of toxic plants in some of the Sherlock Holmes stories. In 1914, he discovered baseball on a trip to New York City and Canada. He was so taken with the game, he introduced his three young children to baseball in 1920, including Jean, who in later life became step-granny to Tania Henzell, the founder of Sherlock Holmes Tartan. He correctly predicted that in the future it would become popular for the Brits to head to Switzerland for the “skiing season”. At the time, few people skied and the notion of the skiing season was new. Conan Doyle discovered the sport after a move to Davros in 1893 in the hope that the mountain air might help his first wife’s ailing health. During his third year of medical school, Doyle took a job as a surgeon aboard an Arctic whaling ship. The experience earned him extra income and sparked his sense of adventure, which never left him. He spent nearly a decade practising medicine, first in general practice before studying ophthalmology in Vienna then spending time with the best known ophthalmologist in Paris. He returned to London and established an ophthalmological office near Harley Street. Who lives at 221b Baker Street?